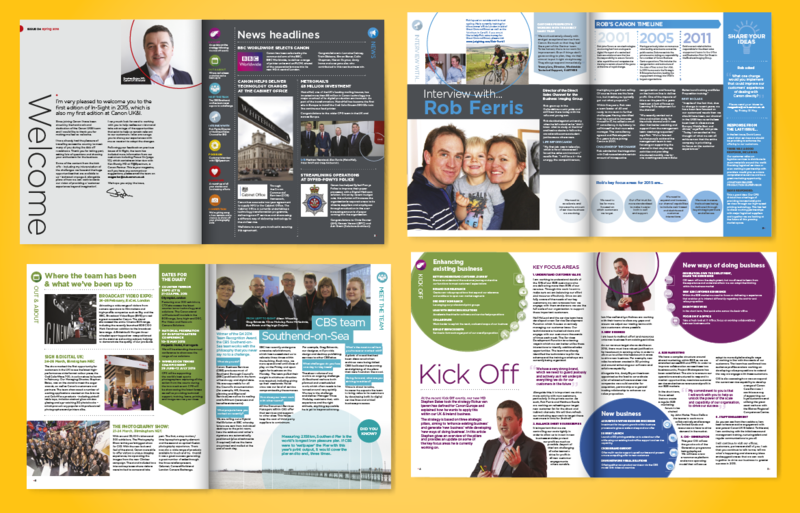 I worked on a mixture of collateral for Canon Europe, whilst working for an agency in Reigate. This included ‘You Can’, their European internal employee magazine, distributed quarterly. Each issue began as a blank piece with the design adapted to fit the content, with roughly 6-8 articles per issue. After the UK version was completed + artworked, it was translated into Italian, French + German. I reflowed + typeset each translated copy back into the artwork file. 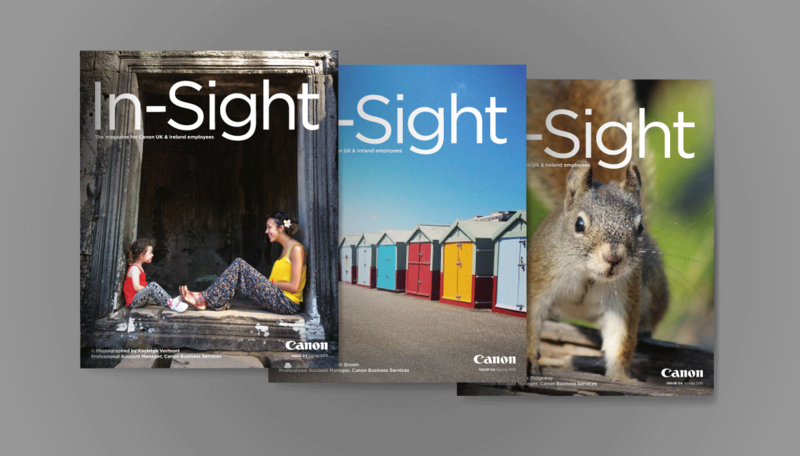 Around the time of Canon’s brand update, I began work on ‘In-Sight’, a new employee magazine for UK + Ireland. It was a magazine about Canon employees, for the employees, who were heavily featured throughout – even on the front cover! At the time of creating the magazine, the new brand guidelines were still in development so it was a challenge to progress the brand whilst still keeping in line with the new vision. 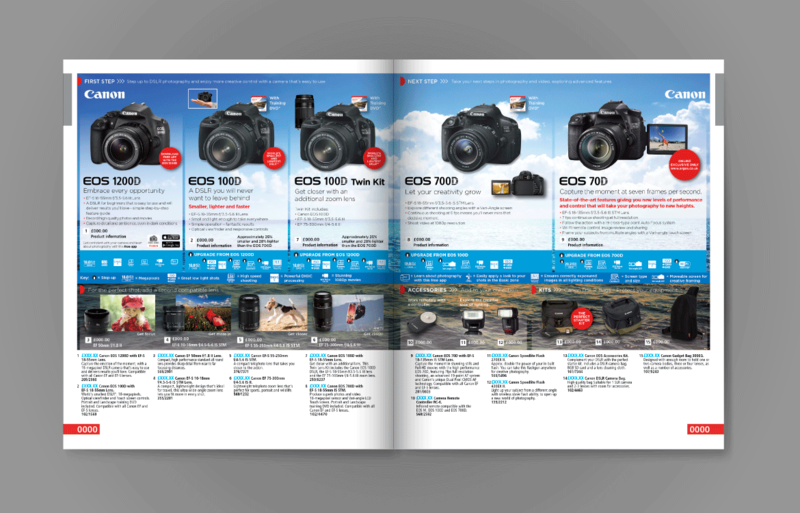 The work for Canon also included artworking the new DSLR product pages for the Argos catalogue – this consisted of options for background imagery (which needed to be seasonal depending when the issue was due to go out) + carefully placing in all the information so it could be seen and was legible.